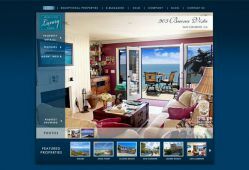 Beach Cities Luxury Homes possesses many luxurious beach homes in cities such as Dana Point, Newport Beach, Huntington Beach, Laguna Beach, Monarch Beach, and San Clemente. It serves to provide buyers with the ideal beach house they always dreamed of. 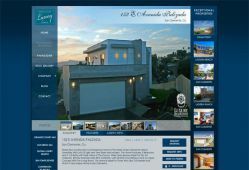 SM Sold matched the beach ambiance with the website by implementing a blue backdrop with navy to highlight certain shadows. 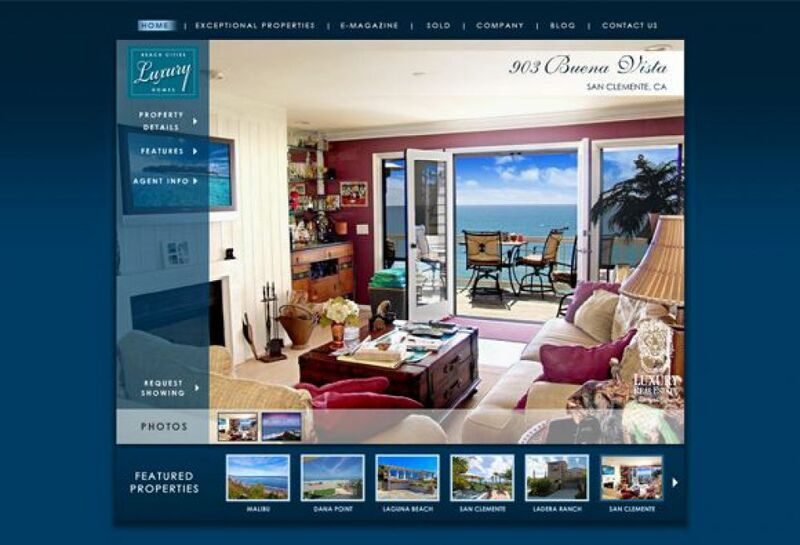 When you enter the site, you can immediately see a beach house with several images waiting to be seen.